Continuously motivated to improve herself, Yvette is like a sponge absorbing all she can about art. She takes her art very seriously welcoming critiques on value, composition and perspective. Her keen interest in colour exploration is seen in works that incorporate subtle nuances of brushwork, textural shifts and well thought out choices. Yvette has been doing art from an early age, was privately tutored as a child and took one year of art at Grant MacEwan College. 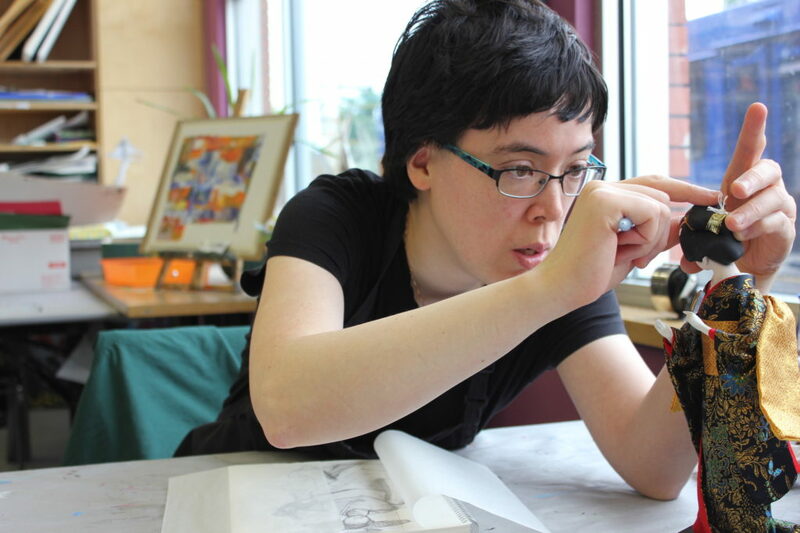 She extends her skills in art through the assistance of instructors at The Nina and augments this with art classes at the University of Alberta Faculty of Extension. Some of her favourite subjects are hockey players and landscapes. Yvette feels that art comes naturally to her and finds it therapeutic. She was born in Prince George, B.C., moved to Edmonton when she was three years old and has lived there ever since. She is proud of her art training and posts her work on Facebook. Yvette was honored to give one of her prints, which was part of the Human Rights Project, to His Excellency John Ralston Saul.